We are fortunate here in Copper Harbor to live among so much scenic beauty and unique natural wonders. Efforts have been made in the past and will continue to be made into to the future, to save and set aside special areas for preservation and public use. Please enjoy these areas and cherish them as the treasures they are. At the top of Brockway Mountain you will find a 360° view of Lake Superior, the surrounding woodlands and inland lakes. 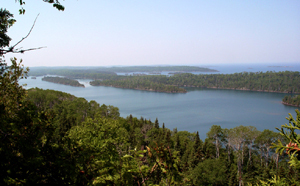 At 735 feet above the lake, you can see Isle Royale about 50 miles away! The top of Brockway is a superb place to view the night sky; countless stars, the Milky Way and if you’re lucky the Northern Lights. It also offers up amazing sunsets and sunrises. A must see in Copper Harbor, Brockway Mountain will be a highlight of your trip. 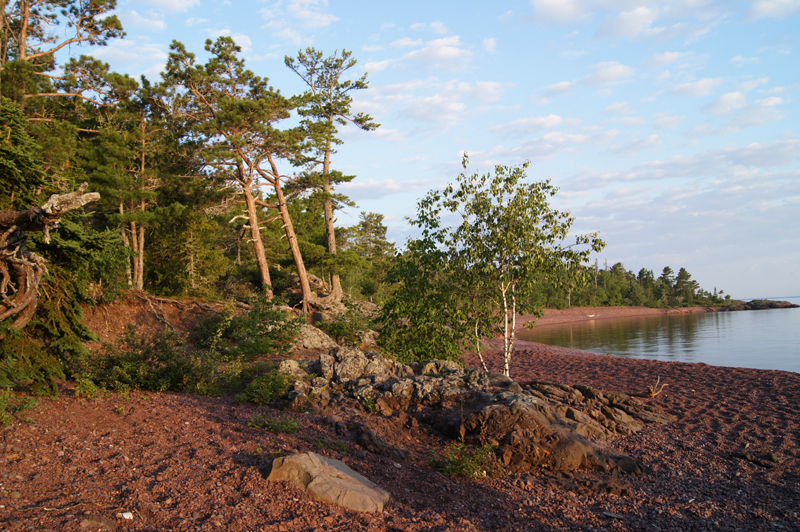 Hunter’s Point Park is a special place to Copper Harbor residents as well as visitors to the area. Take a walk out on Hunter’s Point. 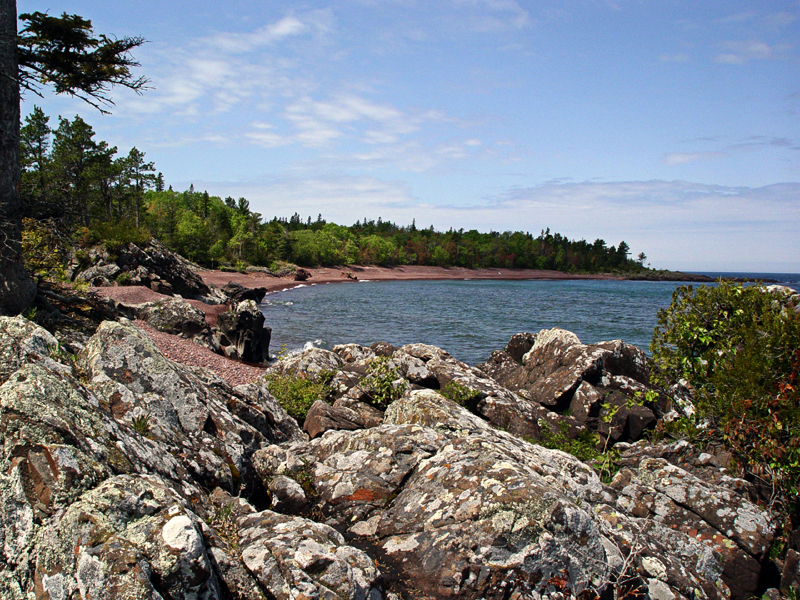 It is an easy hike as it goes along the Lake Superior shore. There are some roots and rocks to navigate, but as a whole, undemanding. There are 2 trail-heads to Hunter’s Point Park. One is just left of the boat launch at the Copper Harbor Marina. The other is accessible west of the marina a couple blocks. There are great birding opportunities on the point, especially during migration. 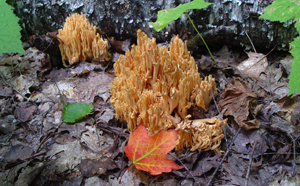 Flora is abundant; wildflowers, lichen, mosses and cedars, hardwoods and pines. The geological formations are special on the point. The basalt in this area is the oldest rock on earth-essentially, the earth’s crust. It’s like a window to the past. Isle Royale National Park is one of the nations 2 island National Parks and Michigan’s only National Park. 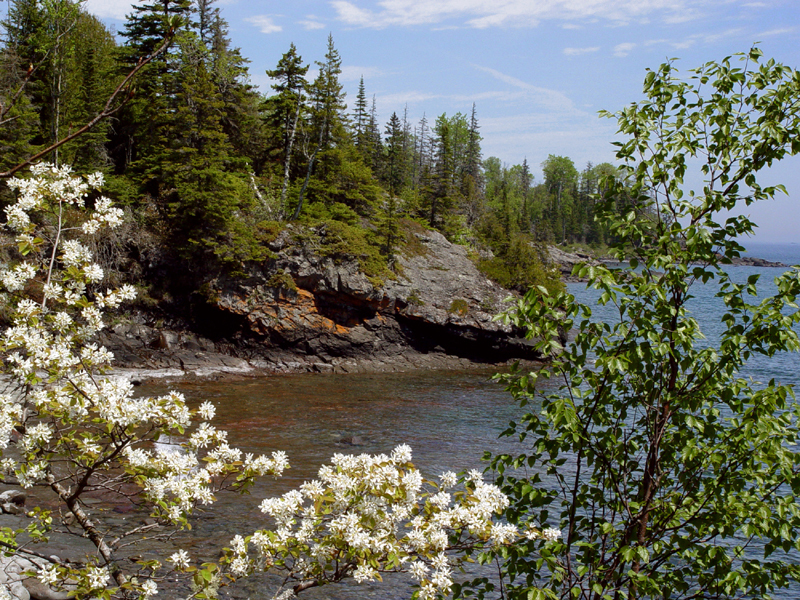 It may not be located in Copper Harbor, but the town is the gateway to the park. 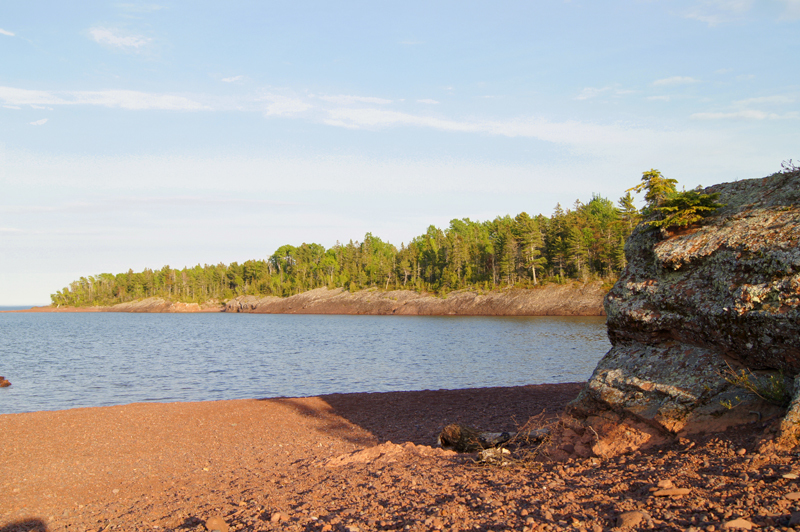 Isle Royale is a special place of true wilderness and great beauty. 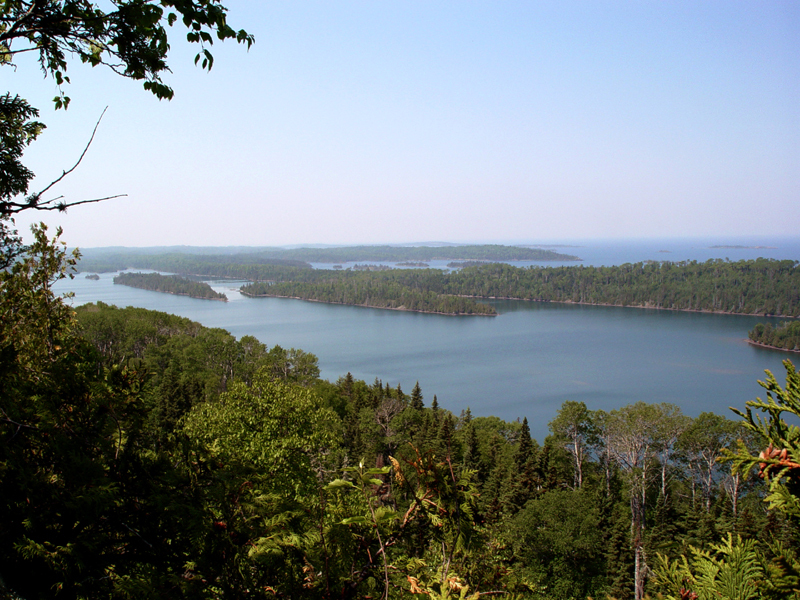 Rock Harbor is the only area that is removed from a spectacular northwoods wilderness. The harbor offers lodging, dining and general goods. No motorized vehicles, bicycles or pets are allowed on the island. There are trails from one end to the other and places to make camp along the way. The Isle Royale Queen IV ferry sails with passengers out of Copper Harbor nearly every day in summer. 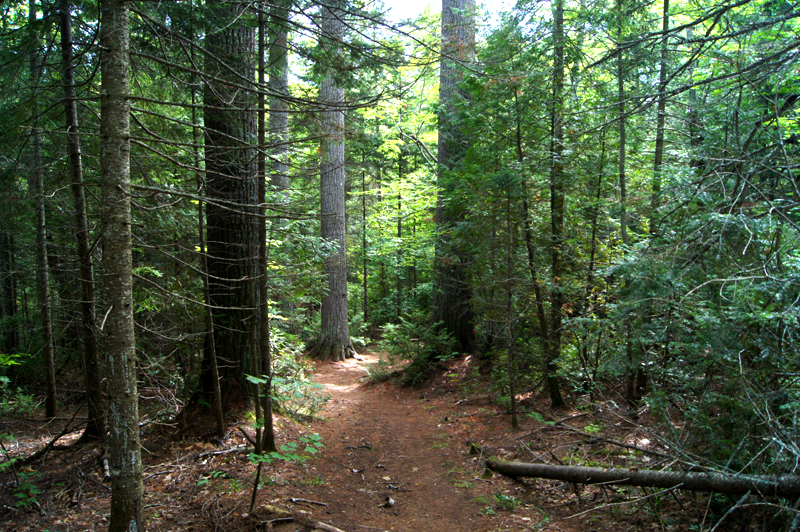 The Estivant Pines Nature Sanctuary is home to the oldest stands of virgin white pine forest in Michigan. It is owned and cared for by the MIchigan Nature Association. The sancuary is about 2.5 miles south of Copper Harbor, accessible by road during the summer months. The 1-mile Cathedral Grove Trail and the 1.2-mile Memorial Grove Loop feature many pines that are more than 100 feet tall and 200 years old. Enjoy a variety of tree species including maple, birch, cedar and of course the stars of the show – White pine. The spring and summer show off many rare fern species, precious orchids and other delicate woodland plants. 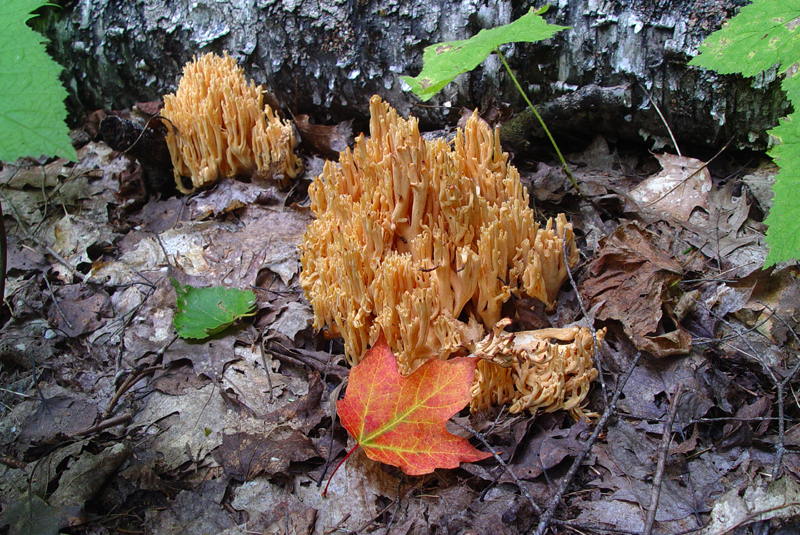 Fall brings a bounty of mushrooms in many shapes and colors. 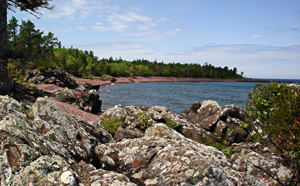 As is the case for all Copper Harbor hikes and walks, sturdy shoes are recommended. Trails are narrow and very hilly in spots and there are many roots to navigate. Pets must be leashed. There’s no camping allowed. 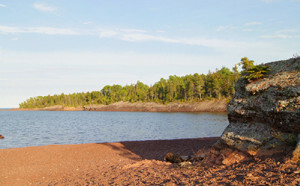 Upson Lake – 100 acres between Copper Harbor and Eagle Harbor. The lake occupies about 1/3 of the sanctuary which is surrounded by northern dry-mesic pine forest. 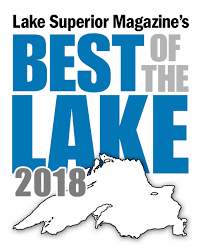 Keweenaw Shores – This 36 acre sanctuary protects Lake Superior shoreline and land across Brockway Mountain where it connects with Upson Lake. James H. Klipfel -160 acres just past the Rooks Memorial. James Dorian Rooks Memorial Trail – Formerly called Brockway Mountain Nature Sanctuary, this 78 acres shelters many unusual plants and wildflowers. Homer L and Hattie Hylton Memorial – 6 acres with nearly a 1/2 mile of Lake Superior shoreline, this sanctuary is about 4 miles west of Copper Harbor. 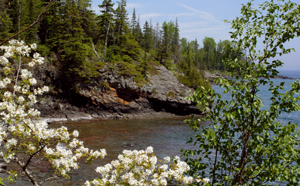 Horseshoe Harbor and Mary Macdonald Preserve– This preserve is located at the north end of the Keweenaw Peninsula just east of Copper Harbor. 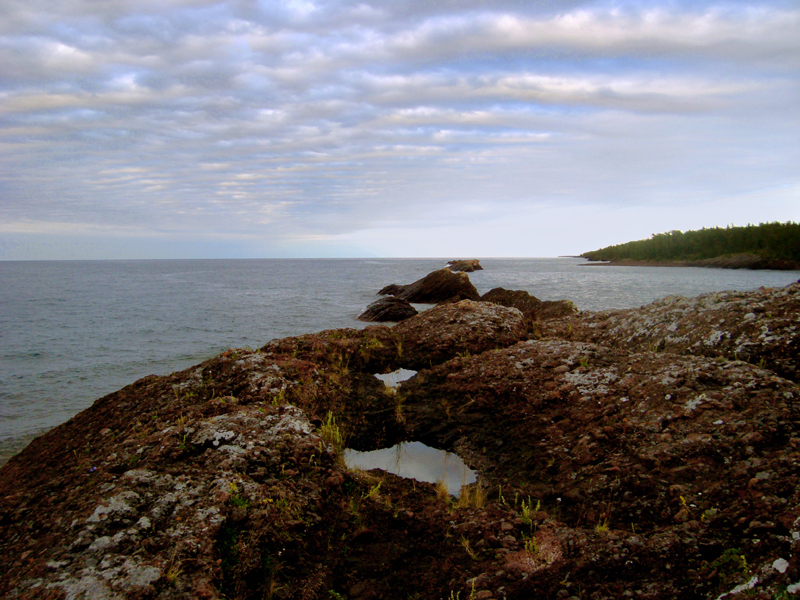 Stunted shrubs and trees cling to ancient bedrock directly in the path of Lake Superior’s fierce winds. Only the hardiest plants can withstand constant exposure to the lake’s winds and waves. Just inland from the bedrock beach, a boreal forest thrives in the cool, moist climate. 1,433 acres. Helmut & Candis Stern Preserve at Mt. Baldy – Also known as Lookout Mountain, the preserve features a craggy, mile long ridge top that harbors a “northern bald” community containing several nearly treeless openings. These openings harbor several disjunctive alpine prairie plant species scattered amongst wind-contorted white cedar and ground juniper. Brockway Mountain Sanctuary – 400 acres on Brockway Mountain. There is a trail accessible from the drive which is about a 1/4 mile long and ends at lookout point and a great view. Lake Bailey Sanctuary – 325 acres located at the east end of Lake Bailey.